On their fourth birthday on 29th February 2016, the Raspberry Pi has introduced a high powered, fast processing board named as Raspberry Pi 3 Model B. Before the latest version of the Pi family has been delivered to the world, the company has already shipped over 8 million units of the Raspberry Pi devices! 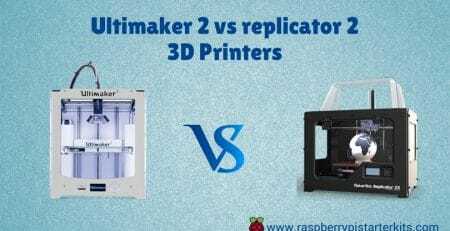 And only within a day, not everyone can decide whether this latest Pi member is worth to buy or should I replace it with my older models or not? To help the potential Pi users with that, I have tested the main boards of Raspberry Pi and created this comprehensive Raspberry Pi 3 Benchmark. 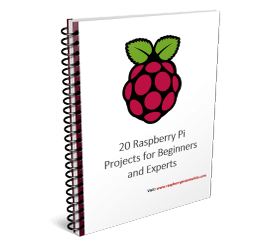 By keeping in mind the interests of all users, I also have listed some approximate information about the Power usage with the technical capability of the Pi devices. Let us go to the detailed Review of Raspberry Pi 3 below. I have tested for various technical aspects are the Original Raspberry Pi Model B+, the Raspberry Pi 2 Model B, and the latest Raspberry Pi 3 Model B. And friendly speaking, it didn’t bore me to go over again for the previous models of the Raspberry Pi once again. I truly love them! The 64bit support by the ARMv8 Cortex A53 quad-core processor enables the Raspberry Pi 3 to be backward compatible with both the previous versions of the Pi family and to give better support to the latest Raspberry Pi Operating System – Raspbian. There are several devices available in the market, which can be connected through the USB ports of your device and show you how much power is drawn by the device. I set each and every Raspberry Pi to the terminal in a way such that the X windows environment was not running. I connected the devices like a wireless keyboard, a 16GB microSD card of class 10, an HDMI to DVI adapter attached to a monitor of 19” widescreen, and a power supply 5V, 2A. I did not connect any Ethernet cable to the devices, one notable thing is that each time when I connected the Ethernet, the power usage went high. I did not install any software for the Bluetooth 4.1, so it was initially inactive. So, the power usage may be likely to increase when you use a WiFI chip. Check the table for numeric comparisons. In 2004, SysBench software was intended originally for the database benchmarking and input/output file operations. The SysBench tests uses verified prime numbers by going through all the divisions possible and satisfy only when the result indicates zero. –num-threads- this command is used to know the number of the processes to run. In the first test, I run 1 thread and in the second test I run 4 threads. run- SysBench can test rather than the actual performing the requested benchmark, so you have to tell it to run it actually. As the original Pi 1 has only a single core processor, so many will think that this test is unfair to it. But we can clearly see that with even a single core test the Raspberry Pi 3 outperforms by working 75% more for the min and max requests and overall 47% speed difference between them. As a result, Pi 3 comes out as the fastest among all. The MemTester was intended to perform the test on the system RAM (Random Access Memory). I have put a limit of 256MB RAM for this test, which helps to take a fair test for all the versions of the Raspberry Pi. This result clearly shows that even when the RAM speed was same at 400MHz, the Pi 3 performs 50% faster than the Raspberry Pi 2 at allocating and accessed RAM. All these results show that, without a doubt, Raspberry Pi 3 is superior to all the previous versions. An interesting thing to see in the results that for both the Pi 1 and Pi 2, the performance drops at 16/32Kbyte mark, but in the case of Pi 3, we can not see the performance reduced until we reach the 512KB mark. But even when we hit at the 1024KB mark, the drop is not as consistent as with the Pi 2. Though it depends on the fundamental change in the memory handling by the hardware. The NEON technology was implemented with the Pi 2. So we cannot perform this test on the Original Pi. Check the results of the NEON test on PI 2 and Pi 3 in below table. handling the video calculations, potential audio processing, and even vector graphics rendering for gaming and 3D. Also, I have performed the Linpack Single Precision Benchmark (LSPB) test, which is another NEON-related test, shows that the Pi 2 came at 298.92 MFLOPS and the Raspberry Pi 3 came at 463.08 MFLOPS. The ARMv8 Cortex quad-core processor at 64bit allows the Pi 3 to support the Operating System in a better way than with the previous versions. Hopefully, the Raspberry Pi 3 will be inclined as the future of the Raspberry Pi platform. A well-coming feature with the Raspberry Pi 3 is the inbuilt Bluetooth and WiFi. Though we have an increased speed of the chip with WiFi, the speed of the USB and SD card may still be limited as before. Overall, the Raspberry Pi 3 has all the features that can make you feel that you can replace this tiny board with your desktop PC. 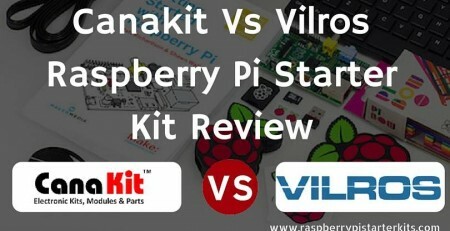 It is a gradual step in the right direction, and for the price, it is having a truly worth Raspberry Pi version to buy. It is the time to give education to masses! Just awesome the Raspberry Pi 3 Model B is! 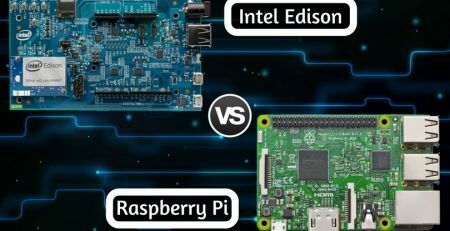 Intel Edison Vs Raspberry Pi 3: Which one is better for Beginners?